Alicia Lewandowski’s Facebook page says she was in her last semester in Humber College’s Spa Management course. But her hopes of graduating were brutally dashed. The 25-year-old woman is the fifth woman murdered in apparent domestic violence in Peel Region so far this year when she was gunned down in her home on March 5. Lewandowski was found by Peel Regional Police officers shot to death in the parking lot near her Rathburn Road East home near Dixie Road in Mississauga. 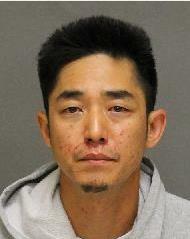 Joseph Chang, a Toronto man, described as her 39-year-old boyfriend, is charged with first-degree murder. The death of Lewandowski, in the Esthetician/Spa Management program at Humber North campus, along with the recent spike of domestic homicides, has been a shock to the community. Since January, there have been five women who are victims of domestic homicide in Brampton and Mississauga. “I certainly hope this an anomaly and not a growing trend, but certainly violence against women by an intimate partner is nothing new in our society, said Lisa Boucher, gender studies instructor at the University of Guelph-Humber. Baljit Thandi, 32, and her mother Avtar Kaur, 60, were killed in their Brampton home on Jan. 12. Thandi’s husband was charged with two counts of second-degree murder, police said. Police said 61-year-old Elaine Bellevue was murdered and her teen daughter critically wounded in Mississauga on Jan. 13. Bellevue’s husband was charged with first-degree murder and attempt murder, police said. Hoden Said, 30, was found dead in her apartment on Jan. 27 in an apparent murder-suicide. A man believed responsible was found dead in Shelburne, police said. His death is not considered suspicious by detectives. The multiple cases of domestic homicide that have occurred in the past three months are unable to be described as a trend. However, Boucher said this cluster of tragic incidents highlight gender inequality and how the mistreatment of women is a very serious and prevalent issue. Statistics Canada reported that in 2016 there were 72 victims of domestic homicide, and 57 of those were women. Women in their teens and early to mid-20s are at a greater risk of being a victim of this kind of violence. In Ontario last year, 93,247 victims reported violence by a significant other and 79 per cent of these were women. The Canadian Domestic Homicide Prevention Initiative (CDHPI) and the Peel Committee Against Woman Abuse (PCAWA) are organizations dedicated to preventing domestic homicides. The national research coordinator of CDHPI, Marcie Campbell, overlooks a vast number of these cases once they are tried. Like Boucher, Campbell said this cluster of domestic violence cannot be classified as trend but should still be considered a public concern. “Sometimes there can be a certain higher number of homicides that happen and another year there can be a lot less that happen. I can’t really speak to that,” Campbell said. CDHPI works to find preventive measures and provide resources to the public to help avoid this kind of violence. Campbell said there is research that shows more than 50 per cent of women do not know they are at high risk or in vulnerable positions, but there are at times obvious signs and risk factors. Not any one case of domestic violence is the same, and assault comes in many different forms. Many women also find it difficult to believe that their intimate partner is capable of such harm and even deny it when it happens. “They just don’t think that their partner would do that,” Campbell said. The Assaulted Women’s Helpline hosts a Crisis Line where help is available every day and at every hour of the week. For the GTA, the phone line is 416-863-0511, and the toll free number is 1-866-863-0511. No medal for women's volleyball at CCAA despite "best performance"